This eight (8) piece kit comes complete with all the styles you see in the picture. You can "Mix and Match"! 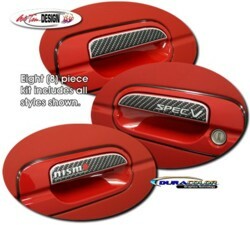 Decals will fit any 2000-Current Nissan Sentra door handle.